check out the ever changing display at months end, what will it be next month??? stay tuned! Color of the Month January 2015! And…breaks over! I always find it a little disorienting to get back to work after the hustle bustle of the season and then a holiday break. Getting back to the studio and work schedule after being away takes a little easing into. 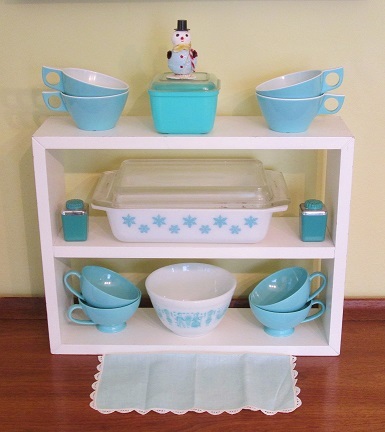 Fave vintage items: melmac, blue Japan snowman, snowflake Pyrex, small butterprint Pyrex, and darling little edged napkin. 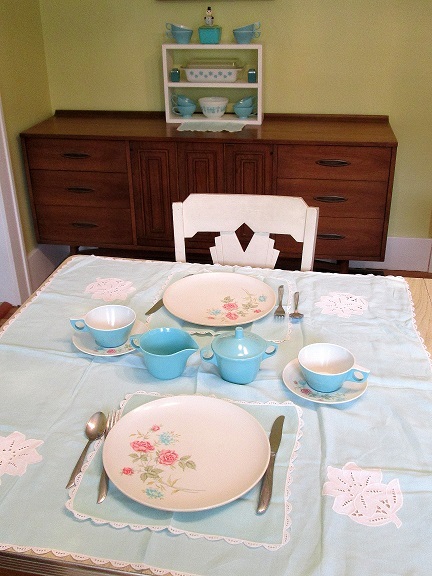 Fantastic vintage melmac sets the stage for a great little table setting! Small sweet vintage tablecloth and matching napkins have great details! A crisp and clean way to start the year! Color of the Month! Jade. OOOPS! Sorry to keep you waiting for the color of the month on the blog! I’ve been on jury duty,plowing through mounds of spreadsheets, photo edits, and company launches, plus working on a little website revamp of my own (coming up) all while trying to prep for the holiday and make the goods. Here ya go, color of the month November 2014-Jade. It’s not often that I stumble upon jadeite in my vintage treasure hunting and when I find it it’s usually not all that budget friendly. But I stumbled upon a few pieces that didn’t break the bank. 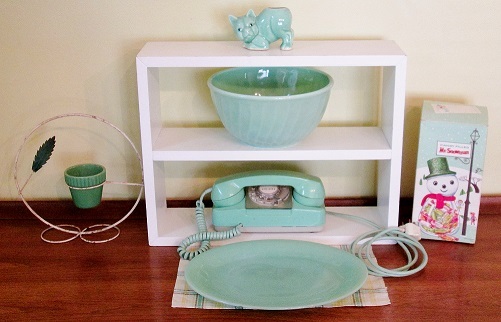 Fave vintage pieces: jadeite platter, cat planter, jadeite bowl, rotary phone, snowman candy jar box, and awesome little planter in the stand! color of the month table setting November 2014. 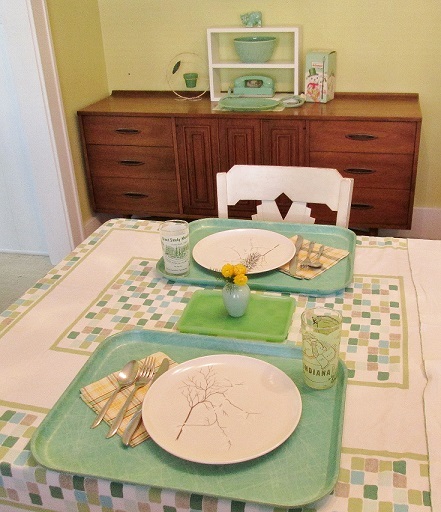 Fave items: fiberglass trays, plaid vintage napkins, melmac tree plates, state glasses,small jadeite tray, and color block tablecloth. 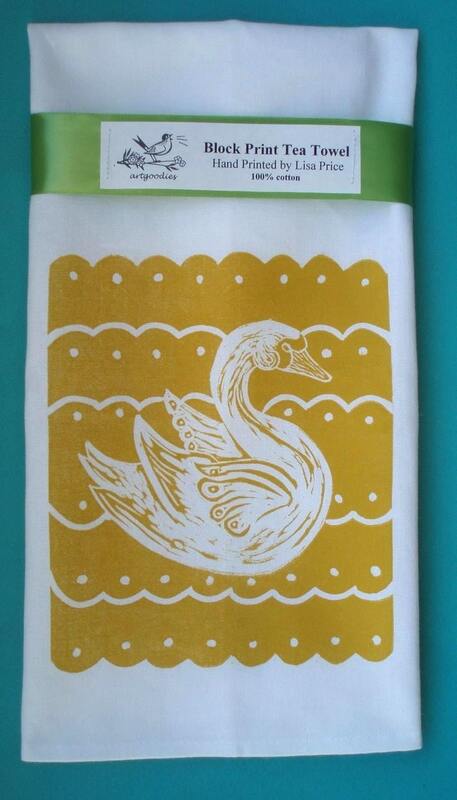 Headin up the hello yellow look is my latest artgoodies block print towel! Inspired by the swans at our family cottage it's been hanging about my mind for some time. And one thing I love is a cute vintage scallop design! 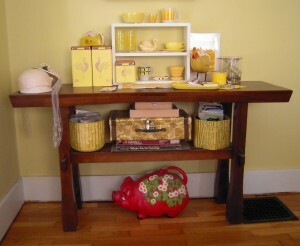 I am working on this ever changing display on my side buffet in my dining room. 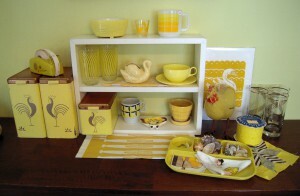 The color this month is yellow! I've gathered some of my personal collection as well as items in my vintage shop. A perfect way to enjoy a blast of color this July! How can you get this look at your place??? Grab a swan towel and also check out the vintage items below! 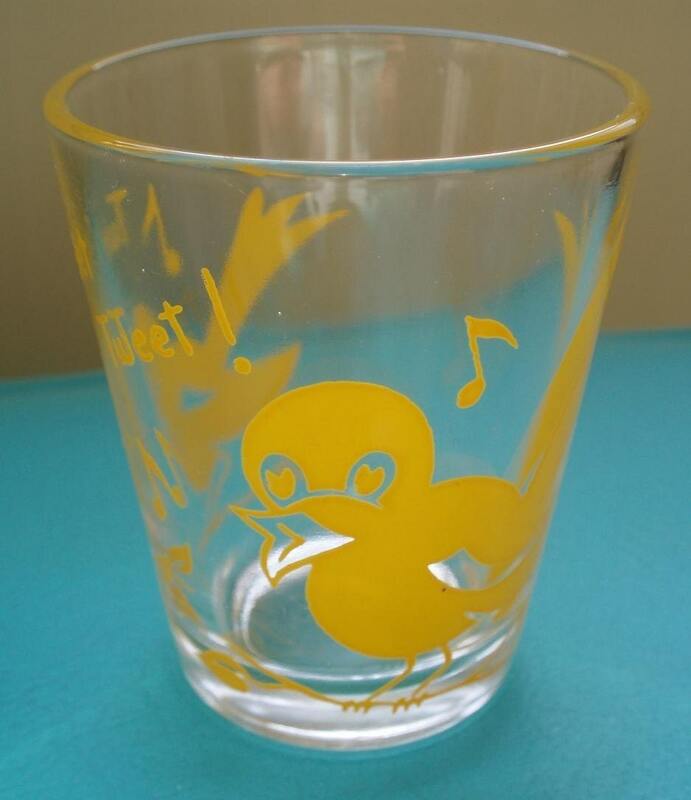 adorable and kitschy birdie shot glass! Tweet tweet! and I’ve got a few available! 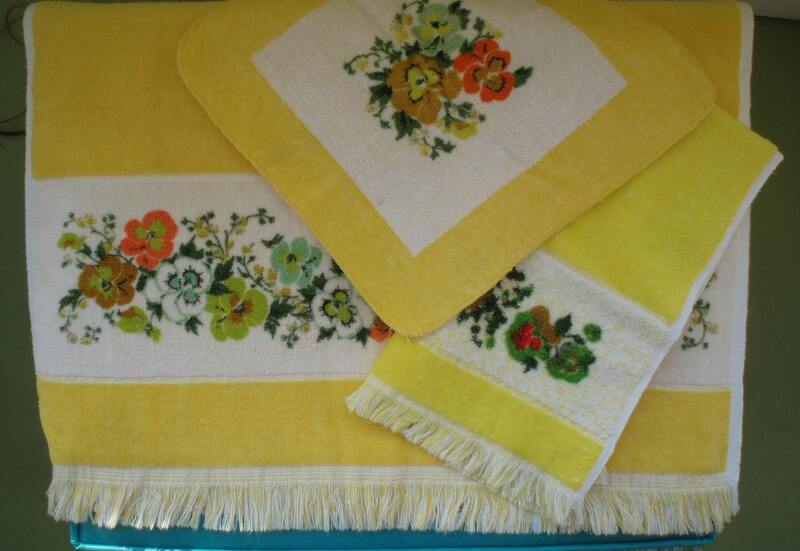 even your bathroom can be bursting with vintage yellow goodness with these like new towels! 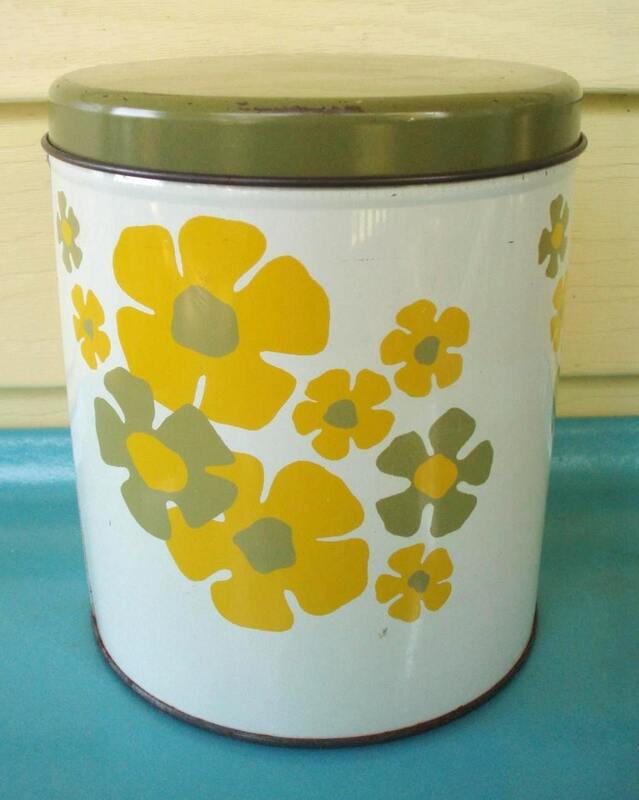 cute canister perfect for kitchen or studio! I love to stash receipts in these! 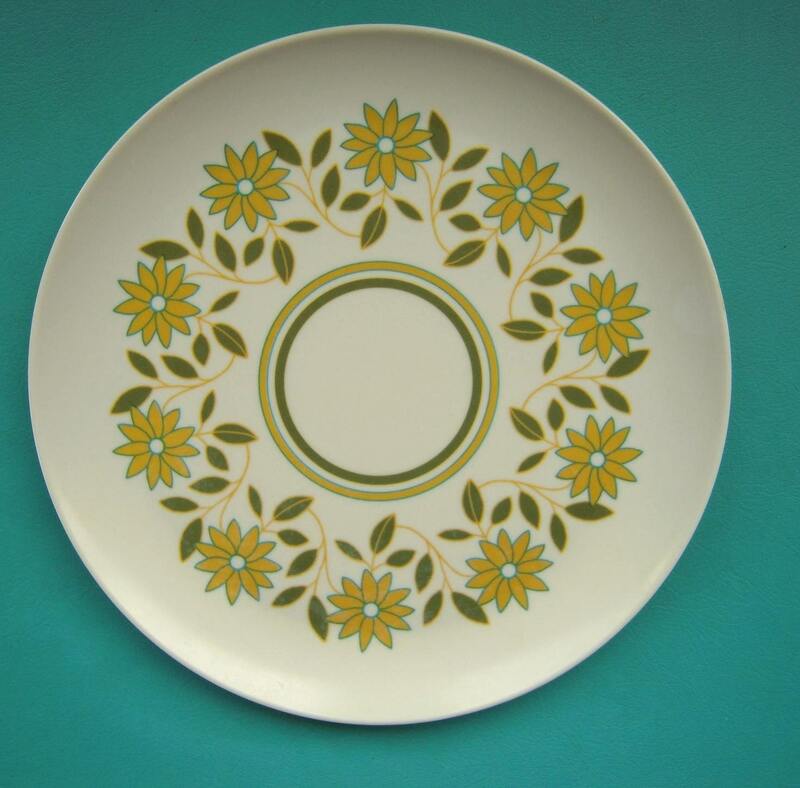 adorable melmac plates, perfect for a summer table setting!